The college prep process is an exciting time in the lives of college-bound teens and their families. Although this time can be challenging for many families, the challenge is well worth the time and effort necessary to make a successful transition from high school to the college setting. Yet, no two students are alike which means that their college prep journeys will be equally as different. The unifying characteristics of every student’s college prep journey must be a college prep strategy designed to give students the competitive advantage. Students need a competitive advantage because students in local, national, and international areas are competing for freshmen spots in colleges. Families must also be aware that college applications displaying stellar grades and an extensive volunteer history don’t automatically mean successful college admissions into the student’s desired college. What’s the first step in the college prep process? The first step is to develop an accurate perspective of the college prep process and the college environment. This first step may seem unimportant but is vital as it influences the course of the college prep process for students and families. Having realistic expectations of the college prep process and college life helps students to reduce stress, expand access to college prep resources, and minimize distractions by avoiding common roadblocks in the college prep process. How do students and families develop realistic expectations? The following tips will help college-bound students and their families develop realistic expectations of the college prep process and college life in order for students to transition to college successfully. Take 15 minutes to write your expectations of the college prep process. Be sure to include your role in the process and your perspective of college life. Have your teens to take 15 minutes and write notes on the same areas. Schedule time to share each other’s views and discuss any discrepancies. Parents, if you disagree with your teens, be sure to listen carefully before giving your opinion. Find people who have graduated from college to share their college experiences with you and your teens. If your teens know their desired career field, have them to meet with family members, neighbors, or local experts working in the same field. Attend college prep events. 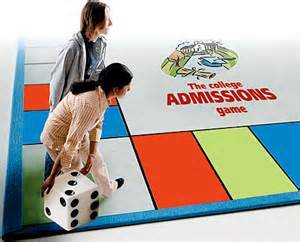 There are a wealth of college prep events at your teen’s school, in the community, and online. Support your teen by staying aware of college prep events and attending these events with your teens. In conclusion, a successful college prep journey has many different components that depend on families having the right views of preparing for college and the college setting. The right perspective can mean the difference between your teens securing scholarships and being able to enjoy their senior year of high school as compared to not being able to finance college and spending most of their senior year of high school frustrated. Make the decision today to get the right perspective and thrive in the college prep journey! The college prep process can be summarized into one action - the best self-representation of the student to the college admissions staff through application, test scores, transcripts, experience, and the college admissions essay. While all parts of the college application process are important, the college admissions essay gives the admissions staff insight into the person behind the test scores, transcripts, extracurricular activities, etc. They get a chance to see the mind and heart of the college applicant to help determine whether the applicant will be a great addition to the college. Parents, while your students will be writing their college admissions essay, you still have a vital role of supporting your student to present a winning college admissions essay. There are 5 tips that your students must keep in mind as they create their essays. Be sure to schedule regular times to discuss with your teens about their progress and any issues that need to be addressed. 1. Be yourself! Encourage your teens to be mindful that the people reading their college admission essays want to learn about them as a person and not a set of numbers. Make sure to let their personality shine through in their essay! Your teens don’t have to try to be like someone else. Just focus on their unique qualities. 2. Learn how to tell a story. The admissions staff reading the essay will start to develop their opinion of your students within the first paragraph of the essay. Your students need to capture their attention with a well-told story. Your teens want to captivate their readers by effectively using storytelling skills. For example, your students want to create a visual for their readers with smooth transitions to the next part of the story. 3. Tell the truth! The quickest way to annoy readers and receive a rejection letter is to lie in the essay. Understand that the readers are used to reading fabricated stories and will check the details of your story. Your teens will be most successful when they balance attracting the reader to their story and showing their best self. 4. Get your team together! Encourage your teens to create a network (teachers, tutors, etc.) for help with writing the essay. 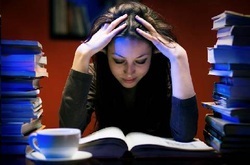 After you have completed a rough draft, advise your teens to read the essay out loud slowly. If your teens notice that they are experience writer’s block, encourage them to discuss their ideas and be willing to change the direction of their essay (if necessary). 5. Details are golden! This is really a two-for-one lesson. First, your teens shouldn’t simply state that they are a leader or great communicator. Encourage your teens to use active verbs to demonstrate how they led a project at school or had to use their communication skills to accomplish an important task. Secondly, advise your teens to make sure their college admissions essay has NO grammatical errors or spelling errors. The readers will assume that your students are careless and lazy if they see errors. In conclusion, the college admissions essay is just as important as the college application. Be mindful that the college admissions staff at your teen’s desired college(s) are going through thousands on tops of thousands of college applications (and college admissions essays) every year. The key is to stand out among the competition. Staying engaged with your teens throughout the process will help them to get into college successfully! Ashley Hill brings her knowledge, expertise, and compassion to assisting college bound teens and their families with the college prep process. She founded the organization in response to her personal journey to achieving success in her undergraduate biology program. She is the author of “Celebrating the Journey: Rediscovering Me”, a book designed to empower and uplift youth heading to college to remain leaders during their college years despite the challenges of college life. Her desire is for families to have candid conversations before college bound teens make the transition to the college environment. Ms. Hill graduated from Kent State University in 2008 with a Bachelor of Arts degree in Biology. She graduated with a Master of Public Health degree from A.T. Still University in June 2011.